Reports of the death of Libor may be exaggerated, particularly in US markets. The UK markets regulator, the Financial Conduct Authority, has set a rough timeline for banks to prepare for a transition away from the floating interest rate benchmark that is crucial to world markets. By the end of 2021, it will no longer require banks to contribute to its calculation for rates in sterling, it said. Yet that may not signal the passing of a number that over the last 30 years emerged as one of the pillars of global finance and, more recently, a symbol of its decay. Libor’s administrator, the US’s Intercontinental Exchange, will still be able to publish the dollar rate after that point, and analysts and trading executives say it may still be necessary. Five years is not long enough for banks to overhaul the $350tn of outstanding derivatives, loans and mortgages tied to the key reference rate, they say. Banks, companies, insurers, pension funds and consumers are among a multitude of participants that have swaps and debt that is regularly affected by changes in short-term interest rates in the money market. Libor for a term of one month and, more often, three months maturity are the cornerstones of the floating interest rate market for the broader economy and users of derivatives. The question now is, how many banks will be willing to contribute to the benchmark after 2021, and for how long? Libor has already created headaches for market participants. Banks and interdealer brokers racked up $9bn in penalties because their employees tried to manipulate the rate, and authorities demanded a wholesale review of Libor, passing administration from the industry to ICE, a regulated Exchange. Global regulators envisaged the rate would be based on transactions, rather than the survey structure that left it vulnerable to price fixing. But the underlying market — unsecured short-term lending between banks — is not exactly vibrant. In the second quarter of 2017, less than half of all currencies’ Libor submissions for terms of a week or longer were based on actual transactions, according to data from ICE. That introduces some legal risk, since flawed submissions could be subject to regulator scrutiny. Substitutes for libor are planned. In June, the Alternative Reference Rates Committee (ARRC), a dealer-led industry group backed by regulators, announced a US replacement called the Broad Treasury Financing Rate (BTFR). It is expected to be running in the first half of next year. Last week CME Group, ICE’s derivatives exchange rival, said it would develop futures and options on the new benchmark. But the rate is not published yet and, crucially, the BTFR measures the cost of overnight repurchase agreements (repo) secured by Treasuries, whereas Libor reflects unsecured money market-based borrowing between banks. Another issue is building out longer-term reference rates, particularly for one or three months, from the overnight rate in the event of a permanent Libor demise. Dollar Libor is quoted across a range of monthly maturities out to 12 months. The dollar-denominated swaps market has about 65 per cent of its more than $100tn in notional outstanding value tied to Libor, according to the ARRC. A swap contract involves the exchange of fixed and floating rate cash flows over a term that can run to 30 years or longer. Such contracts generally rely on three-month dollar Libor as the benchmark floating rate. “US dollar Libor has to live longer, because the replacement is going to take a while to roll out,” says Jason Williams, a strategist with Citi Research. ICE’s policy is to publish Libor as long as it receives five or more submissions for a particular currency. But if enough banks decide to stop contributing to the Libor panel, others may follow. And broadly, a five-bank panel is likely not enough to sustain a rate over the long term. The market is exploring options if ICE were to stop publishing Libor before all the relevant contracts are updated. Regulators, banks and investors could agree on a fixed spread over their region’s chosen short-term reference rate, and work out a term structure. But as Mr Cabana notes, the option “obviously would raise some concerns around what spread to be chosen, the term structure of the fixed spread . . . but these, in our view, would be easier challenges to address than renegotiating and re-hedging existing contracts”. ISDA, the derivatives industry’s main trade association, is also working on details of potential fallback provisions to be used if Libor is no longer published. Commercial rivals are also interested. Meanwhile, the CME eyes it as a chance to exploit futures contracts that would be tied to new reference rates. “We are working very closely with ISDA on potential fallback,” Sean Tully, global head of financial and OTC products at CME, told investors on Tuesday. But executives and analysts acknowledge none of these new benchmarks have as wide of a reach as Libor. “In the end, we see the most likely scenario as involving a fractured derivatives market with multiple underlying benchmarks across different countries developing,” says Mr Cabana. - What if capital markets were absolutely perfect? Lately, they seem that way. 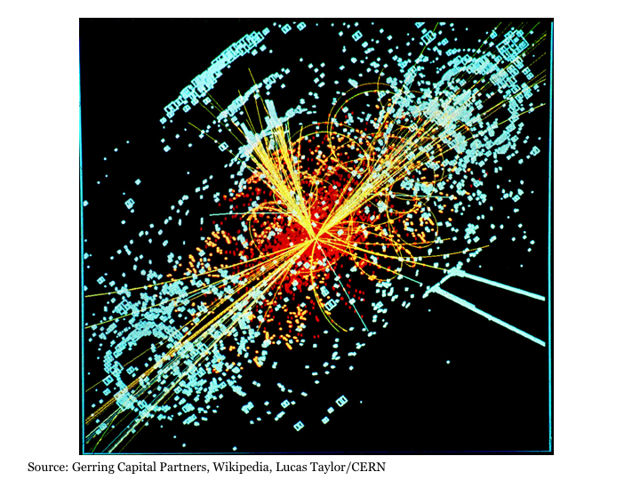 - What if capital markets are not perfect after all? - An examination of volatility across asset classes provides us with insight on what we may reasonably expect from various categories in the future. How wonderful would it be if capital markets were absolutely perfect? Imagine a world where risk assets like stocks only rose and never fell regardless of valuations (OK, you don’t really need to imagine it, because that’s what’s been happening since late last year). Envision if bond yields and borrowing costs remained perpetually low at the same time that inflationary pressures were benign (OK, once again, sounds like today). And imagine having all of this in an environment where the daily uncertainty associated with the prices of these assets was minimal (OK, we’ve got that today too). What a world it would be? And maybe, just maybe this is the world that we have officially entered into during the post-crisis period. Perhaps policy makers through their actions have finally discovered the master theory that fully explains and links together all fundamental aspects of capital markets. But in case they have not, it is worthwhile to consider what might take place when capital markets move on to something other than the seemingly perfect conditions that we are experiencing today. Investing in capital markets has truly seemed perfect for some time now. Unfortunately, with a perpetual sense of perfection eventually comes an inevitable sense of complacency if not outright invincibility. And for us mere mortals that participate in investment markets that have limited time horizons and abilities to replace hard earned capital that can be subsequently lost knowing that past performance is no indication of future results, a sense of dauntlessness can prove to be a dangerous thing over time. In the current market environment, this sense of investor complacency is expressed through volatility, or the lack thereof. The most commonly referenced metric in this regard is the CBOE Volatility Index, or VIX. Also known as the “fear gauge”, the VIX measures the implied volatility of index options specifically for the S&P 500 Index (NYSEARCA:SPY). This is a first important point worth highlighting, which is that the VIX measures the “fear” levels associated specifically with U.S. large cap stocks as measured specifically by the S&P 500 Index (NYSEARCA:IVV). And today, investors are feeling as confident as they ever have in history. Highlighting the current air of invincibility, on July 21, the VIX notched its lowest close in history at 9.36. And just last week on July 26, the VIX dropped below 9 for the first time ever in hitting an all-time low intraday reading of 8.84. It doesn’t get any more perfect than this, unless of course conditions become even more perfect in the coming days, weeks, months, or years for stock investors via even lower volatility, which is a possibility that simply cannot be ruled out. But what of this seeming fearlessness among U.S. stock investors. What can we reasonably expect to follow afterwards? Of course, the most readily available and commonly cited example to reference is what took place just over a decade ago. For it was in early 2007 when the S&P 500 Index last fell to similarly impenetrable levels of implied confidence. And we all know what happened over the subsequent two years, which was the near implosion of the global financial system. But a sample of one is clearly insufficient to draw any sorts of conclusions about what might lie ahead between now and the end of 2019. And the 2007 example for the S&P 500 Index can be refuted by the 1994 to 1996 comparison where volatility dropped to comparably low levels and what followed was the five most explosive upside years in stock market history to close out the millennium. Of course, this second example also ended violently by the year 2000, but it still came roughly five years later. 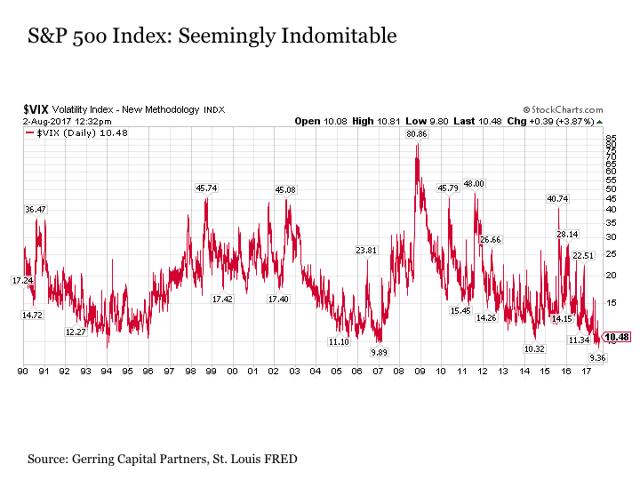 Fortunately, the VIX is not the only volatility reading that we can examine to try and get a better sense of what we might reasonably expect from any asset in capital markets today once record complacency is replaced by something less than perfect. First, let’s stay with the stock market and consider the volatility index for emerging markets (NYSEARCA:EEM). While the historical data for this metric is fairly short at just over six years, it is still notable that the VXEEM reached its all-time low in July 2014 at a reading of 13.71 that was nearly one half of its short historical average. Not long after, emerging markets fell into a difficult 18-month stretch that included a short-term -18% correction followed by a solid rally followed by another -34% correction. In short, record high complacency was followed by particularly acute turbulence. Where do we stand today with emerging market volatility? We are back near the previous lows from the summer of 2014. But once again, the historical time series for the VXEEM is short, and the risk as measured by standard deviation for emerging market stocks (NYSE:VMO) is roughly 1.67 times that of the S&P 500 Index (NYSEARCA:VOO). 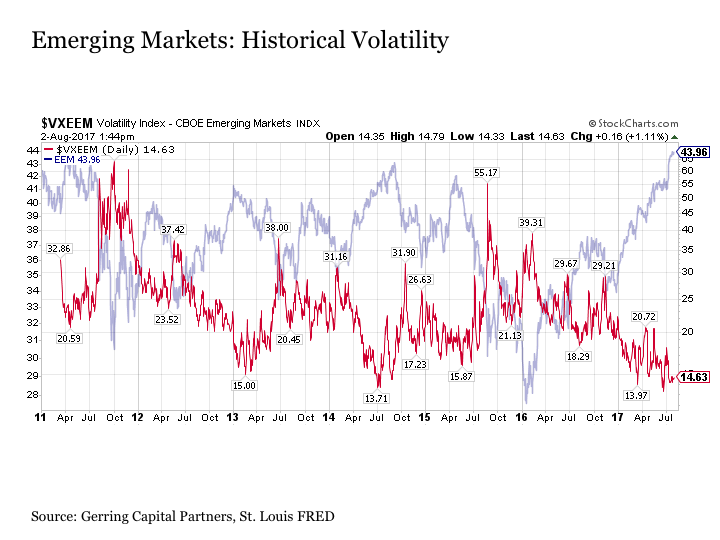 Moreover, it is very possible that EM volatility could continue dropping into the single-digits as EM stock prices surge to new all-time highs. As a result, it is worthwhile to continue searching. Next, let’s consider a major reason why “fear” returned with a vengeance for emerging markets in the summer of 2014. Of course, it was at almost the same exact time that oil prices (NYSEARCA:USO) reached their final peak at $106.86 per barrel on West Texas Intermediate Crude. Now this final top in oil was certainly nothing that could even be remotely considered a blow off top, as oil crossed over $100 per barrel in the post-crisis period in 2011 and remained well below the pre-crisis peak over $140 per barrel. Instead, oil prices effectively moved sideways for roughly three years from 2011 to 2014 before suddenly breaking to the downside. But one key factor that defined this three-year sideways move was the fact that oil price volatility was consistently falling. By the summer of 2014, it was at less than its historical average in moving below a reading of 15. What followed over the next few months was dramatic. And it was absolutely crushing for those companies and investors that were coasting on the complacency of steadily high oil prices. In short order, the price of oil was cut by more than half. And roughly 18 months later, it was lower by nearly -75%. Here again we have a circumstance where price volatility for an asset class had fallen to historic lows. And what followed was a violent and sustained outbreak in downside price volatility. The move was anything but gradual, and for those that were overly exposed to the asset class, it was very difficult to emerge without sustaining at least a measurable about of pain. But the challenge once again is the following. Sure, oil price volatility steadily dropped from at or above its relatively short historical average to new lows at 15, but what made 15 the magic number where the correction was ultimately sparked? What would have kept the OVX from falling below 10? After all, the fundamental supply/demand imbalance had existed for some time come 2014, yet oil prices remained stubbornly high. Of course, it was Saudi Arabia’s actions at the time in attempting to impose discipline on the global oil market that finally broke the sense of invincibility in the oil market. In short, it was a catalyst that sparked the end to complacency in oil, and these effects spilled over to rattle the cage of emerging market investors not long after. And in both cases, dramatic downside price moves followed historically low volatility levels. Let’s continue by moving on to currency markets. Like oil, the euro (NYSEARCA:FXE) currency was also once caught in a daze of increasing diminishing volatility from mid-2012 to mid-2014. Although the exchange rate was nowhere near its historical highs relative to the U.S. dollar, it found itself gradually strengthening at a time when its underlying volatility fell from its typical 8 to 12 range to a low of 4.69. But even before it reached these historical lows in mid-2014, the euro currency had already begun rolling over relative to the U.S. dollar. And in less than a year, the euro plunged from an exchange rate of 1.39 to 1.05 versus the U.S. dollar, which amounts to a -25% loss in relative value for the euro currency in a very short time period. Here again we have an instance in a category where volatility had moved well outside of its typical range in falling to historical lows only to be followed by a major price move to the downside. 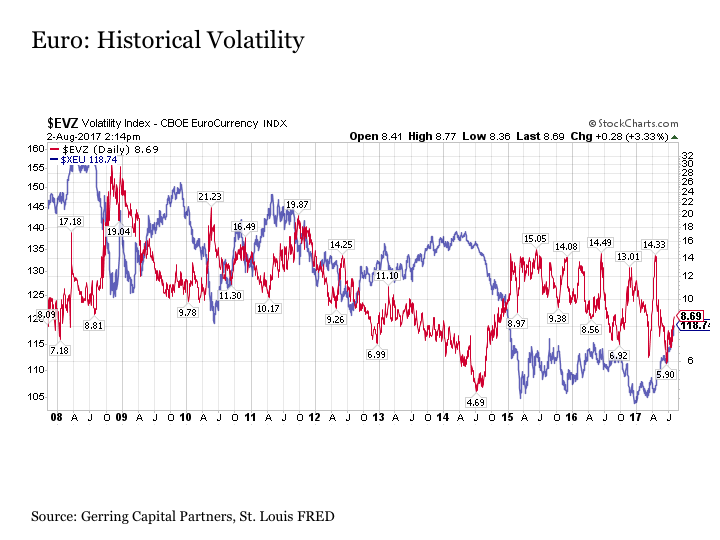 Now in the case of the euro and oil, both are currently trading with volatility that is slightly below average but well within the bounds of what has been normal over their relatively short histories. Of course, the same cannot be said of U.S. stocks whether they be large caps or small caps, as volatility on the U.S. small cap Russell 2000 (NYSEARCA:IWM) is also at historic lows. Nor can it be said for emerging market stocks with volatility also back at all-time lows. But what other asset classes are currently trading with historically low volatility? This is where things get particularly interesting. Consider gold (NYSEARCA:GLD), which after years of higher volatility has seen its volatility gauge drop to new historical lows that recently touched just above 10. Putting this historically low volatility in context, it is less than the 15 reading that came just before the 2011 gold price (NYSEARCA:PHYS) peak. And it is less than the even lower 12 reading that came right before the lights went out on the yellow metal in early 2013. Put simply, the stock market is not the only place where complacency reigns at the present time. Now consider U.S. Treasuries (NYSEARCA:TLT), which also has a volatility reading that recently revisited its lowest readings in its history and remains at the bottom end of its long-term range. But what is notable in the case of Treasuries and volatility that differentiates it from every other category mentioned here is the following. 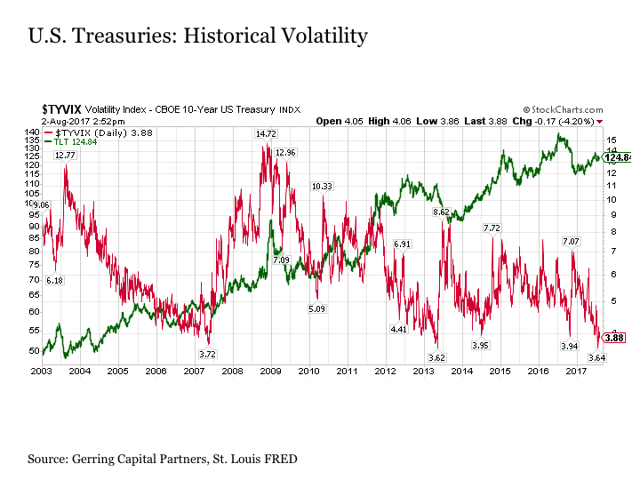 Reaching historically low volatility readings and experiencing a subsequent spike in volatility is not necessarily correlated with a subsequent measurable price decline in U.S. Treasuries (NYSEARCA:IEF). 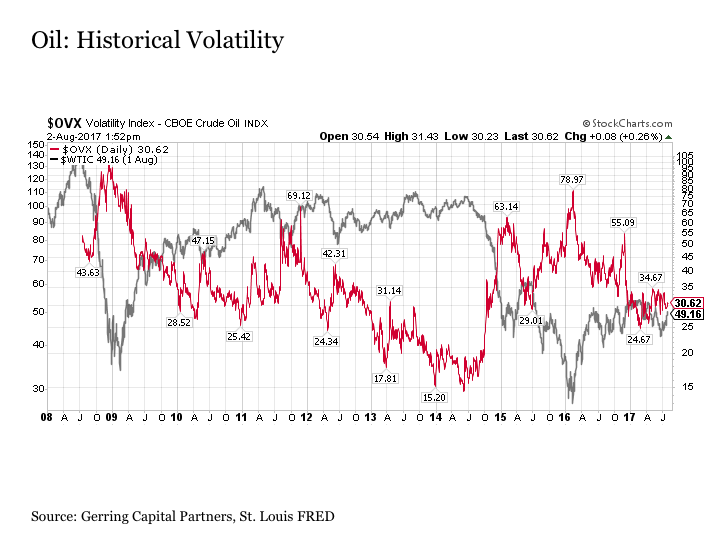 For example, after reaching a historically low volatility reading in 2007, U.S. Treasury volatility spiked dramatically higher. But so too did U.S. Treasury prices at the same time. And while some spikes in Treasury volatility were associated with a noticeable drop in bond prices, in other instances, it saw Treasuries accelerating its move to the upside. So while bond investors are just as complacent as their stock and gold counterparts, this does not necessarily mean that investors should be anything more than risk aware, as movements in Treasury volatility are more uncorrelated with changes in Treasury prices. Putting this all together, we have the following backdrop for investors today. 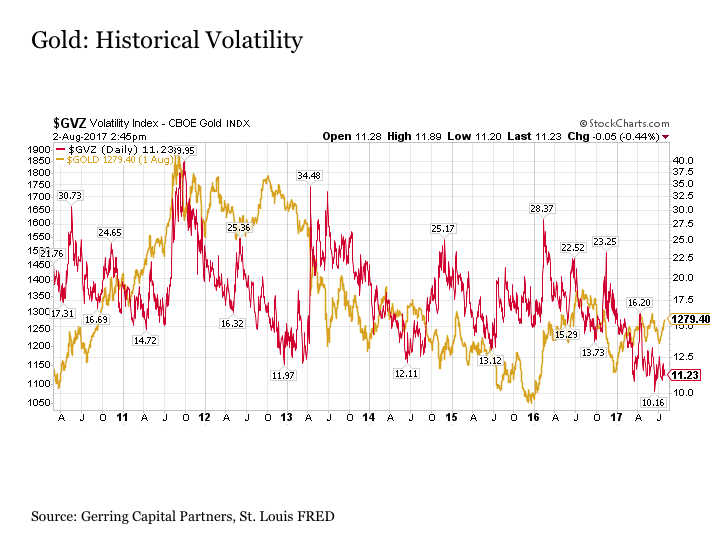 Volatility readings across a number of major categories including U.S. large cap stocks, U.S. small cap stocks, emerging market stocks and gold are all at historical lows, albeit a relatively short history. And past instances of trading at historically low volatility for these categories as well as others such as the euro and oil have typically been followed by sharp and extended periods of sharp downside price movement. Does this mean that investors should sell any of their assets in any of these categories today? Absolutely not, for the timing of exactly when markets might react to such complacency remains elusive. To this point, a historical low volatility reading for any given category could just as easily be followed by a new historical low reading in the next day, month, or years that follows. Often, some sort of catalyst is often needed to present itself to spark the reversal higher in price volatility, whether it is the onset of a banking crisis, the elevation of a far-left government into power in the eurozone, the signal that sustained higher inflation is not going to present itself in the post-crisis period, or the decision by the country with the world’s largest oil reserves to impose market discipline. Until any such catalyst presents itself, these low volatility categories can continue to grind higher with increasingly lower volatility. But what this recent historical data also suggests is that when the sense of invincibility is finally broken, that the subsequent pain felt by investors can prove fairly sharp and severe. And in some cases, prices may not be quick to bounce back to previous highs the way that others may have in the past or present. As a result, while volatility readings across asset classes are at historical lows in many cases, this does mean that individual investors should replicate this complacency. To the contrary, it is at times when volatility is at or near all-time lows when investors should be particularly attentive and aware of the potential risks that could unfold around them at any given point in time. All of this is why a broadly diversified asset allocation strategy is so important in the current market environment. Yes, stocks continue to set all-time highs. And yes, bonds continue to hover near all-time lows. And yes, it appears that the gold price may have established a major bottom 18 months ago and is heading steadily in the right direction. All of these categories are achieving these marks with record low volatility, and they may continue to do so for the next several days, months, and years. But there’s also no telling when any of these categories will experience a jarring wake-up call in the same way that both oil and the euro currency did a few years back. By owning all categories as part of a disciplined asset allocation strategy that includes an allocation to cash when needed, an investor can enable themselves to continue to participate in the upside that today’s market has to offer while at the same time providing themselves with protection once something arises that tests the sense of invincibility in any of these categories at any point in the future. We are all different when it comes to investing in capital markets. Some of us are resoundingly optimistic and are fully feasting at the bounty of steadily rising risk asset prices. 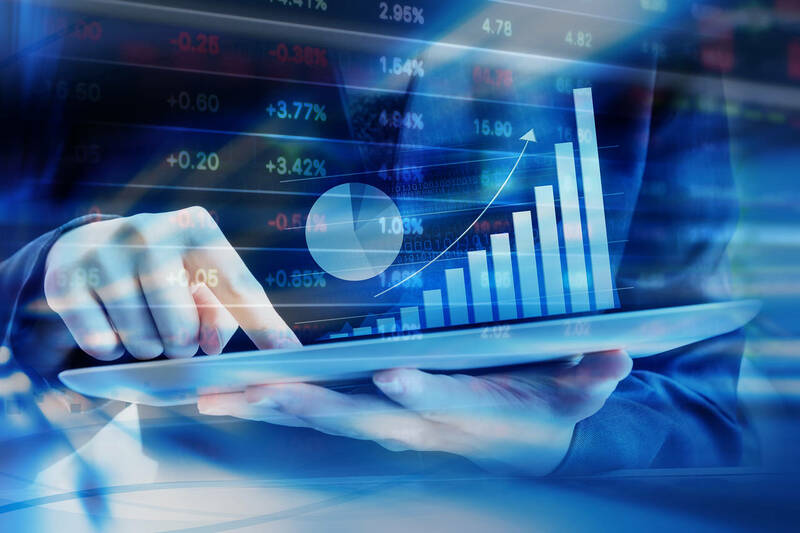 Others are more cautious and are seeking ways to participate in the upside that risk assets have to offer while also working to protect against the potential unknowns. But regardless of our different perspectives, our goal for investing in capital markets is largely the same, which is to maximize the growth the value of our capital over time for the associated amount of risk being taken to do so. In recent years, the returns for taking on risk have proven tremendously rewarding. The same was also true back in the late 1990s, as I encountered many investors at the time that were willing to take on much greater levels of risk than normal given their risk tolerances in pursuit of the alluring and seemingly boundless returns the stock market had to offer at that time. But we have also seen extended periods throughout history where the reward for taking on risk has not been rewarded for extended periods of time. And if we were to somehow find ourselves in such an environment in the future, it is always important to remember that no matter how less than perfect any particular asset class or all of capital markets may become in the future, that there are always opportunities for investors to pursue and succeed in continuing to grow their wealth. The key in the end is to know what to do when your most favored asset class takes a turn that may be vastly different from what you know today. As the Dow reaches another milestone, other indexes whittle away at some of the market’s bullish underpinnings. It seems strange to worry about the stock market on a day when the Dow finally reached the 22,000 mark. Even the fact that the move was largely on the shoulders of Apple’s jump higher after it released great earnings news shouldn’t make much of a difference. The trend is the trend, and it is still to the upside. The real problem is that a few of the positive developments I’ve presented here in recent weeks have started to peel away. That does not mean this bull market is over, but it does put us on notice for the sometimes critical month of August. Why is August critical? Not for the fireworks of, say, October. It is often a slower month in terms of turnover as summer vacations take hold. And as we approach Labor Day, volume can get quite low, creating a market where even the slightest change in mood can move the price needle quite a bit. Heavy volume provides buffers. Lower volume allows one side—either bull or bear—to dominate. For example, the so-called flash crash of 2015, when the Dow Jones Industrial Average dropped roughly 1,100 points in the first five minutes of trading, and exchange-traded funds nearly collapsed due to panic selling. That happened on Aug. 24. Of course, that’s an oversimplification, and there were many other reasons why prices moved so much. I contend that if the markets had been their usual robust selves, the whole incident would have been more modest. That sets up this month for a surprise, although I cannot say definitively it will be a negative one. Yet given the recent negative action in some of the sectors and indexes whose technical breakouts I cheered on, it does seem that more caution is warranted. Monday, I wrote here that the Dow Jones Transportation Average fell off a small cliff. The short-term condition still looked vulnerable, but the long-term trendline from the start of this leg of the rally remained intact. I warned that the trucking subsector was already sitting on its own trendline, and in Tuesday’s session it fell below it. It’s not the death knell for the broader market, just something to keep in mind. 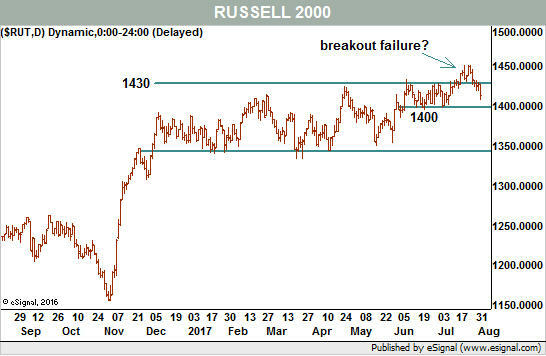 But now, the small-cap Russell 2000 index has fallen back into its prior trading range, and that is yet more evidence for the bears (see Chart). Should the index drop below that short-term support, I would have to concede that the important upside breakout failed—and down goes another bullish argument. Finally, recent weakness in big technology stocks has also scared the bulls. On July 27, many of the big names scored bearish reversal patterns by jumping higher early in the day and closing with significant losses. Amazon.com’s (ticker: AMZN) earnings miss played a large role, but the Dow industrials still managed to close at a fresh record high. New highs are not bearish. Even Amazon is not truly bearish, as it remains above the major trendline drawn from the start of this rally leg in February 2016. Further, the NYSE advance-decline line, which measures full market breadth on the New York Stock Exchange, reached another all-time high of its own on Tuesday. Because market breadth remains strong, even as a few sector indexes weaken, it is very hard to think the market is about to break. Three of my four key sectors—financials, home building, and tech—remain very close to multiyear highs. Only retail is floundering. The caveat is that as August activity starts to thin, even small bits of bad news can cause a stampede to the exit doors. Of course, a little more good news could cause a stampede to higher prices, so the conclusion is to hold a bullish point of view but not mortgage the house to do it. MILAN – In the summer, as life slows down, there is space to reflect on fundamental issues. One of the key puzzles occupying my mind of late is the disconnect between widespread political dysfunction and relatively strong economic and financial-market performance. Today, the world’s major economies are experiencing a steady recovery, despite the occasional setback. To be sure, economic performance is far from reaching its full potential: depending on where one looks, one can find output gaps, excess leverage, fragile balance sheets, under-investment, and unfunded longer-term non-debt liabilities. Still, financial markets show no signs of convulsion, even as monetary stimulus is gradually withdrawn. Yet, at the same time, political conditions seem to be deteriorating. Polarization has intensified, owing partly to growing resistance to globalization and the unbalanced growth patterns that have resulted from it. In the United States, for example, the Pew Research Center reports that people not only disagree vehemently with their compatriots on the other side of the aisle; they also don’t like or respect them. The political gridlock long fueled by America’s right-left divide has now become entrenched within the Republican Party, which controls both houses of Congress and the White House. So far, President Donald Trump’s administration has only exacerbated this internal turmoil, while offering none of the hoped-for economic-policy shifts that might elevate investment and growth and boost quality employment. While it is hard to detect the Trump administration’s priorities at this point, it would be hard to argue that they include a concerted and narrow focus on policies designed to make growth patterns more equitable and sustainable. In the United Kingdom, last summer’s vote to leave the European Union surprised many, and concerns across the EU were heightened when Prime Minister Theresa May took over and committed to securing a “hard” Brexit. Now that British voters have stripped May of her parliamentary majority in June’s snap general election, the outcome of the coming withdrawal negotiations – and the fate of the post-Brexit UK – has become even more uncertain. Leaders in Europe, as well as in a number of emerging economies, have now concluded that both the UK and the US are unpredictable and unreliable allies and trading partners. Asia, with China in the lead, has decided to go its own way. International cooperation on economic and security matters – never easy – seems to be unraveling. In this context, the global economy’s resilience – at least so far – is all the more remarkable (though it is of course impossible to know how the economy would be performing in a more stable political environment). There are several possible (and non-mutually exclusive) explanations for this counterintuitive state of affairs. For starters, institutions built over time now limit the capacity of political leaders and legislators to affect the economy. While these institutions can impede the implementation of positive policies, they also serve to minimize economic and investment risk. Particularly on the international front, politicians cannot easily bring about a dramatic and immediate reversal of the patterns of globalization that have been established in recent decades. Any attempt to do so – undoubtedly fueled by intensifying populist and nationalist pressures – would cause serious economic damage, ultimately depleting the political capital of those who spearheaded it. Another, more worrying possibility is that risks are rising faster than perception of them. If this seems implausible, consider the 2008 global financial crisis, in which lax regulation and informational asymmetries led to a pattern of rapidly rising risk and deepening imbalances that were, for the most part, obscured from view. In the current context, the cumulative effect of rising geopolitical tensions, loss of trust, and disrespect for key institutions could produce either a large shock or just deteriorating conditions for investment. But it is harder to construct concrete scenarios than it is to ignore the potential risks we face. Having said that, there is a more hopeful explanation, to which I subscribe, at the risk of being labeled an irrational optimist. The inequality of opportunity and outcomes that have fueled popular discontent and political polarization are very real, and, after years of neglect, they are finally getting the attention they deserve. More concerted attention to social cohesion will not bring quick results. But, over time, it can help to reduce partisan intensity, refocus citizens’ attention on their common values, and restore their leaders’ capacity to deliberate responsibly and implement policy. As always, there will be disagreements – sometimes sharp disagreements – about how to achieve shared goals. The key is to address them in a context of relative mutual respect. This scenario is far from guaranteed, but it is by no means impossible. After all, Emmanuel Macron’s election as France’s president, May’s setback on hard Brexit, and a near-universal rejection of the Trump administration’s stance on climate change and a rules-based global economic order, both within and outside the US, suggest that the center may be holding. In the meantime, national and international institutional frameworks must continue to guard against destructive actions by political leaders. In the final analysis, confidence in these institutions’ resilience – and in an eventual end to the current political dysfunction – is what markets seem to be banking on.